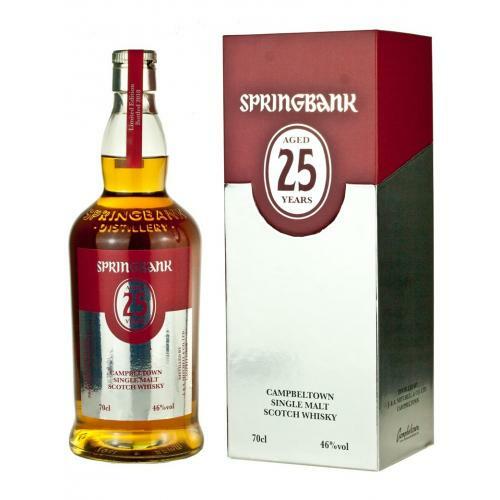 The 5th annual release of Springbank 25 Year Old will be available worldwide in limited quantities. This version departs from recent editions of the 25 Year Old, where maturation combined bourbon and sherry casks into a final port pipe vatting, whereas this edition has been matured exclusively in refill sherry casks. Only a limited amount of 1200 bottles will be available world wide! 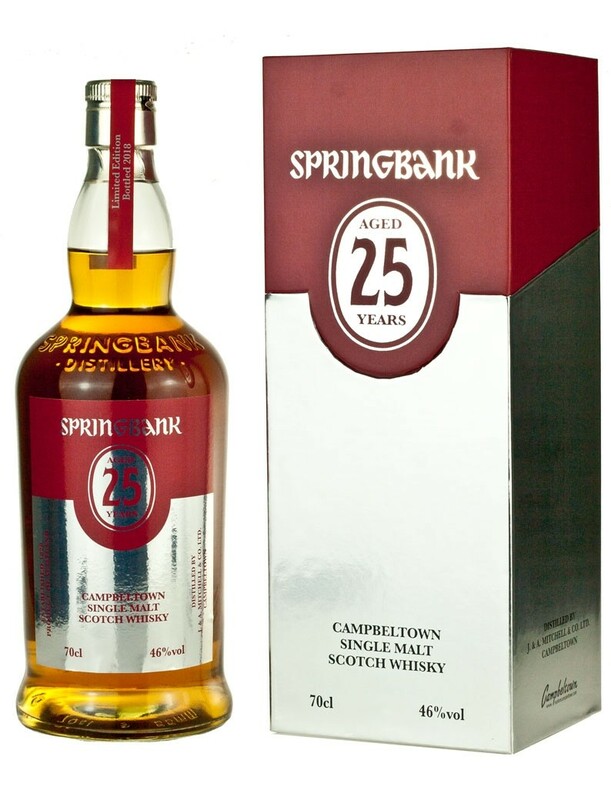 Springbank is the oldest independent family-owned distillery in Scotland where three malt whiskies are produced there, each with its own distinct character! Nose: Typical Springbank; damp, hessian cloth with notes of flint followed by treacle, traditional Highland Toffee, marzipan, nougat and toasted oak. Palate: Perfectly balanced, silky and smooth. Forest fruits and toasted marshmallows are prominent then pecan and walnuts. Cotton candy, butterscotch and orange peel. Finish: Oily and fruity. Treacle as the nose suggests with tobacco leaf, citrus fruits then salty and briny notes.